The spring season is usually considered as a sign of brand new and fresh start. You probably plan to begin with a healthy lifestyle by working out. Or make your home look different and more welcoming than before by tidying. Of course, the same goes for seniors. They may be your parents or grandparents, they also want to make a change in their surroundings. And because the new season is just around the corner, let’s discuss spring house cleaning tips that are applicable to them. 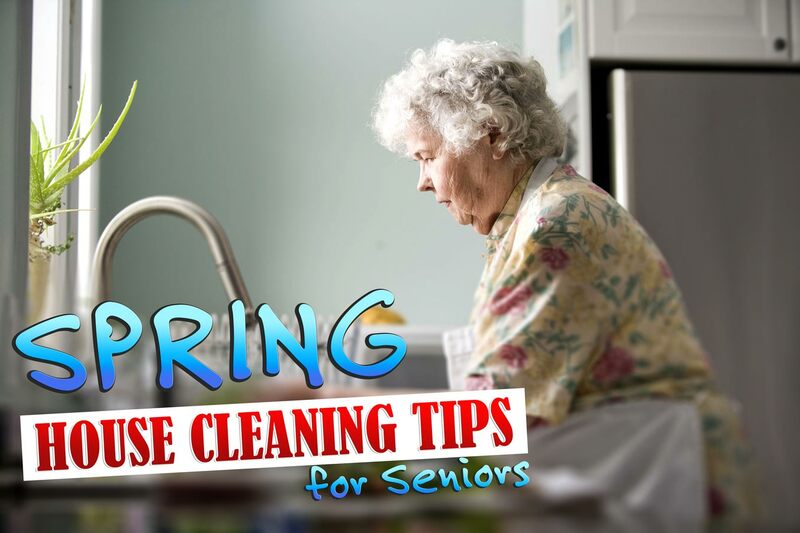 In this article, we will let the elders shine and enjoy tidying their place by giving them easy to do spring house cleaning tips. Just because they are already old doesn’t mean they are not capable of doing basic tasks! They can help you with the wiping stuff but of course, not with the lifting part. Don’t let them feel they are useless by not allowing them to assist you. That is why it is really helpful to have and choose the best hacks that are applicable to them. As the younger ones, give them support and help to do the spring house cleaning tips from start to finish. As much as possible, do each task with them. Don’t let them move alone especially if you think that they are no longer that strong enough to do it. Not only you have finished each errand but you have already made memories and spent time together in this kind of good season. When it comes to making a checklist, make sure that you and senior loved one agrees with it. These include wiping windows, shelves and furniture. Or scrubbing floors and vacuuming carpets which can be tough for them to do. So, careful consideration with their strengths and capabilities is really important. This is the reason why it is included in our spring house cleaning tips. Yet, when your senior is no longer able to do this kind of errands, just get reliable cleaners that can do the spring house cleaning tips for you! So, even in a different way, your home still has a fresh look when this season takes place. Isn’t that convenient? Before you start with the total tidying part, begin with eliminating the mess first. Yes, we are talking about the stuff that you no longer use for a long time. You may ignore it but they can actually cause chaos in your home. Like the pile of magazines, boxes of shoes and even a pile of clothes. It also adds more space in your place and it doesn’t really look good and attractive to look into. Then when you are done with this task, let us continue with the next tip. Last but absolutely not the least on our spring house cleaning tips is organising your items accordingly. When it comes to filing documents, make them easily accessible for your regular transaction. And then tuck out of your way those you don’t really need. Then proceed with arranging the furniture according to you and the elder’s preferred style. Right after that, you may now continue with the mopping, vacuuming, dusting and sanitising. The process is almost the same as tidying your refrigerator. Start with eliminating the items, throw away those you no longer use and then wipe the shelves. Cool and simple right? Spending time and having a tidying activity with elders is a different experience with doing it on your own. You can learn from their different ways of making the home neat and tidy. And with just smooth and simple hacks, you can actually do it together! When others prefer to hire professional just to make their home well-kept, why not try these tips we give you? As mentioned, aside from enjoying the moment with the elders, you have also got yourself saved from spending money. At the same time, you have already made your home spotless in this beautiful season. This entry was posted in House Cleaning and tagged cleaning, cleaning services, house cleaning services, house cleaning tips, Spring Cleaning, Spring Cleaning Perth.